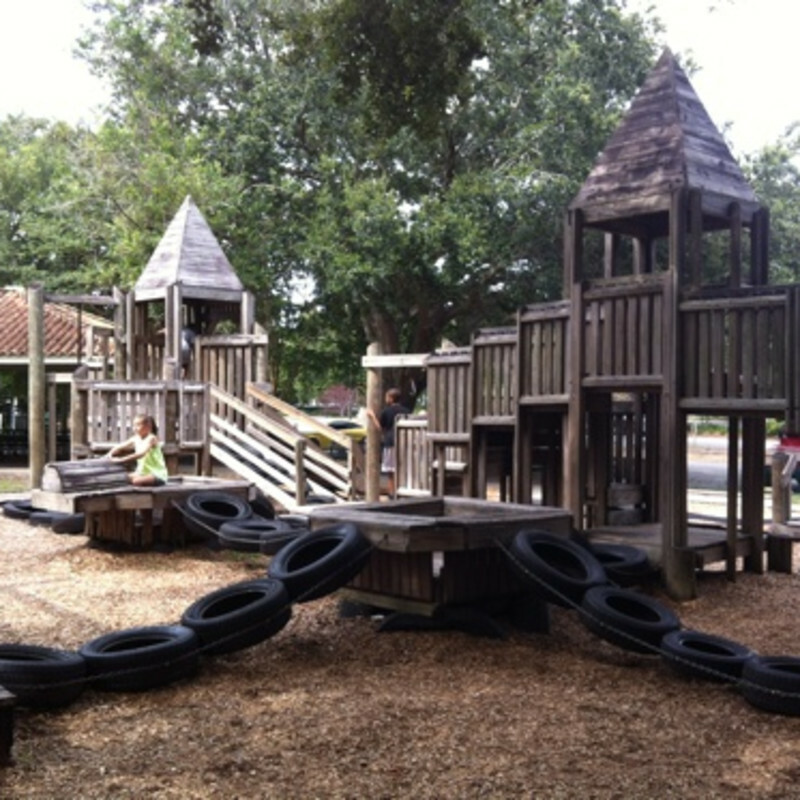 This community playground in Winter Park is a creation from nationally renowned playground designer Robert Leathers. It has on old playground style that parents who grew up in the 1980’s will be sure to appreciate, as the park features natural wooden structures that resemble a castle fort. The playground is complete with swings, monkey bars, recycled tires to climb and swing on, secret little nooks for hiding, and several slippery metal slides. Thanks to the oak trees covering the play area and providing shade, these metal slides stay cool to the touch; a big improvement over the metal slides that parents remember from their childhood.